This podcast tries to give a sense of scope about how many things we work on at once in R&D. On a rare "Drive from Work," I talk with carpooler Scott Van Essen about what it was like to design Kaladesh together. My carpool guest Scott Van Essen and I talk about the design of the new Transformers Trading Card Game, which he and I both worked on. In this podcast, I examine the history of Squirrels in Magic. At my SDCC Magic panel, I gave a little presentation about the history of Magic. This podcast is a slightly longer version of that talk. Every year, I attend San Diego Comic-Con where I run a Magic panel among other responsibilities. Upon my return, I always record a podcast about it. This is that podcast. I turn over my podcast to the color green, which explains in its own words what it believes. This is part five of a five-part series I'm calling "Color Talk." I turn over my podcast to the color red, which explains in its own words what it believes. This is part four of a five-part series I'm calling "Color Talk." I revisit two of my old articles ("When Cards Go Bad" and the follow-up "When Cards Go Bad Revisited") to talk about why R and D makes bad cards. I turn over my podcast to the color black, which explains in its own words what it believes. This is part three of a five-part series I'm calling "Color Talk." I turn over my podcast to the color blue, which explains in its own words what it believes. This is part two of my five-part series "Color Talk." I turn over my podcast to the color white, which explains in its own words what it believes. This is part one of a five-part series I'm calling "Color Talk." My wife and I love throwing parties, so in this podcast, I talk about the numerous lessons we've learned over the years and how I've been able to apply those lessons to designing Magic sets. This is another in my series where I go through Magic sets and talk about what each one added to design technology. In this podcast, I talk about original Mirrodin block. For the last three years, my daughter Rachel and I have attended Vidcon, a convention dedicated to YouTube video stars. This podcast is the story of this year's trip and all the things I learned from it. My eldest daughter, Rachel, is off to college, but before she left, I was able to get in one more podcast with her. We chose to continue with our mailbag series "Replies with Rachel," where she and I answer questions from all of you. To celebrate Magic's 25th Anniversary, we had five birthday Grand Prix around the world. I attended one of them, GP Las Vegas, and this podcast is all about my trip to the event. This is the 20th and final installment in my series "20 Lessons, 20 Podcasts" based on my 2016 Game Developers Conference speech. In this podcast, I talk about how the 20 lessons all connect. It's been two years since Research and Development started the new Vision Design, Set Design, Play Design model. In this podcast, I take a look at it and judge how I think it's going. After three trials and five design challenges, the GDS3 top three came to Wizards' offices for the final day of the competition. This podcasts talks all about the final day of GDS3. In this podcast, I talk all about a longstanding meeting we have every week in Research and Development. This podcast is part six of a six-part series on the design of each and every non-Contraption card in Unstable. This podcast is part five of a six-part series on the design of each and every non-Contraption card in Unstable. This podcast is part four of a six-part series on the design of each and every non-Contraption card in Unstable. For the 25th Anniversary Grand Prix, I recorded a video with Richard Garfield and Peter Adkison. This podcast is all about the day I spent shooting that video. I also talk quite a bit about the early days of Magic. This podcast is part three of a six-part series on the design of each and every non-Contraption card in Unstable. This podcast is part two of a six-part series on the design of each and every non-Contraption card in Unstable. This podcast is part one of a six-part series on the design of each and every non-Contraption card in Unstable. This podcast talks about how we decide when to keyword (or ability word) a mechanic in design. I'm often asked about how one can be more creative, so I decided to finally make a podcast about the topic. This is the fourth in my "Magic Evolution" series where I go through every Magic set and talk about the design innovations of each one. On today's podcast, I talk about the Odyssey and Onslaught blocks. I go through a Magic card and talk about what impact design has on each part of the card. In this podcast, I talk about the history of the kicker mechanic from its start in Invasion all the way through to its use in Dominaria. For this podcast, I walk through every design team I've led or co-led and talk about what the jumping-off point was for the design to show the many different paths we start with when making a set. In this podcast, I talk about why it's important for each plane to have a distinct identity. This is another in my "20 Lessons, 20 Podcasts" series based on my 2016 Games Developers Conference speech. Today is lesson nineteen: "Your audience is good at recognizing problems and bad at solving them." The Great Designers Search 3 was plugging along behind the scenes when I recorded this, so I checked in to give you some info on how it was going. In this podcast, I talk about my days doing stand-up comedy and the lessons I learned that applied to Magic design. This is the third and final part of a three-part series on the vision design of Dominaria. This is the second part of a three-part series on the vision design of Dominaria. This is the first of a three-part series on the vision design of Dominaria. Not every card is new. In this podcast, I talk about when and how we use reprints in design. I was asked to make some "How to" videos for Magic (alongside Gaby Spartz). This podcast is all about the day I spent making Magic videos. I started a new feature on my Twitter where I polled the audience about various Magic design issues. This podcast goes over the issues I asked about and the feedback I received. In this podcast, I talk about how we design legendary cards. In this podcast, I talk about my time as editor-in-chief of Duelist, the Magic-themed magazine Wizards used to produce. In this podcast I walk through the history of the morph mechanic from its origin to its use in Khans of Tarkir block. This is the third in my series "Magic Evolution," where I go through every set and talk about what design technology was created. In this podcast, I talk about Mercadian Masques through Apocalypse. This is a fun podcast where I explain my definition of what a game is. I'm sure it's bound to prompt much discussion. This is part eighteen of my series "20 Lessons, 20 Podcasts" based on my 2016 Game Developers Conference talk. In this podcast, I explain why restrictions breed creativity. This is part three of three, where I share many card-by-card design stories from Dissension. This is part two of three, where I share many card-by-card design stories from Dissension. In this podcast, I go over the design test, the third trial for the Great Designer Search 3. Having just read 94 design tests for the GDS3, I spend a podcast talking about many of the common mistakes novice designers make. I finally get around to the third and final set in original Ravnica block, Dissension. This is part one of three, where I share many card-by-card design stories from the set. In this podcast, I go over the answers for the final 25 questions in the Trial 2 multiple-choice test for the Great Designer Search 3. In this podcast, I go over the answers for the second 25 questions in the Trial 2 multiple-choice test for the Great Designer Search 3. In this podcast, I go over the answers for the first 25 questions in the Trial 2 multiple-choice test for the Great Designer Search 3. To make it into the Top 8 of the Great Designer Search 3, you needed to pass three trials. In this podcast, I talk about the first trial, the essay test. In this podcast, I talk all about the important work done by our editing team. For many years, Magic was broadcast on ESPN2. This podcast looks back at that time and talks about the experience from behind the scenes. Part of my job is answering questions from all sorts of different sources. In this podcast, I talk about who I answer questions from and how I do it. This is a companion podcast to one I did about designing sets that revisit worlds we've been to before. In this podcast, I talk about designing for a new world. I traveled to Victoria, Canada, to participate in LoadingReadyRun's inaccurately named but very fun Pre-Prerelease for Unstable. This podcast is all about my trip. Unstable did something different by having various versions of a card with the same name. This podcast talks about how they happened and the great lengths we went to in order to hide their existence. In this podcast, I talk all about the history of playtest cards in R&D, including a discussion on the latest technology. This is part seventeen in my 20-part series "20 Lessons, 20 Podcasts" based on my 2016 Game Developers Conference speech. In this podcast, I talk about the lesson "You don't have to change much to change everything." In this podcast, I talk about the lengthy journey to make the third Great Designer Search happen. This is part two of my "Magic Evolution" series where I walk through sets and explain what innovations they added to Magic design. This is technically a "Drive from Work." I picked Mark up at his house to do the last podcast, so we figured we might as well do another podcast when I drove him home. I have a special carpool guest, Magic Senior Brand Director Mark Purvis. He promised to come back when we could talk openly about Unstable. And so he did. I had the opportunity to appear on Game Knights with Jimmy Wong and Josh Lee Kwai. The three of us and Gavin Verhey drafted Unstable before its release so we could show off how fun it was. This podcast is all about my trip down to Los Angeles to shoot the episode. I've often said the hardest part of my job is making cool things and then not being able to talk about them for a long time. This podcast is all about the joy of getting to finally tell people news through the lens of the fun I had watching Unstable be revealed. R&D started a new process called a "hackathon" where we take off a week and work on future speculative products. Today, I'm going to explain how it works and walk you through our first two hackathons. One of my many jobs is Un-rules manager. In this podcast, I talk about my role and about many of the weird rules of Unstable. In this podcast, I talk all about the history of one of the most popular creature types in Magic, Slivers. This is Part 2 of my look back. Note that while there will eventually be a Part 3, it won't be for a while. I took a page from my column and decided to take my 500th podcast to look back at all the podcasts I've done. It turns out 500 is way too many to do in one podcast, so I just talk about my first 100 podcasts. This is a good chance to hear about some of my early podcasts to help figure out which ones you might want to listen to. There's also a bit of behind-the-scenes information about making them. This is another in my "Lessons Learned" series where I talk about a design I led (or in this case co-led) and walk through all the lessons I learned from doing it. The entire third floor was recently remodeled, which resulted in R&D being moved to a different section of the floor. This podcast is all about the move and the many pieces of Magic history I discovered while moving. Magic has had a lot of symbols show up on cards over the years. In this podcast, I talk about them all. In this podcast, I go into greater detail of how the new vision design team works. Last year, R&D changed the structure of how we make Magic cards. In this podcast, I explain the change and introduce the three new parts of Magic design in R&D. In this podcast, I talk all about the history of the kicker mechanic, from its start in Invasion to modern day. This is the sixteenth installment in my "20 Lessons, 20 Podcasts" series where I talk about each of my lessons from my 2016 Game Developers Conference talk. In this podcast, I talk about the lesson "Be more afraid of boring your players than challenging them." I talk a lot about the process of creating what the cards do, but part of making Magic cards is also physically creating them. In this podcast, I talk about how we print Magic cards and what impact that has on designing them. Besides designing Magic cards, I also spend a lot of time interacting with the public. This podcast talks all about this aspect of my job, including how I came to be a spokesperson. This podcast is the third and final part of the story of Unstable's design. This podcast is part 2 of 3 of the story of Unstable's design. The Un- sets are where I try new things, so it seemed only apropos to experiment with having the podcast be about the design when the set is being previewed. This is part 1 of 3. The very first Hasbro-centric convention, called HASCON, was held in August. I was there, and this podcast is all about it. In this podcast, I explore Magic's early sets and talk about the design innovations each one brought. This is part three of a three-part series about the design of Ixalan. This is part two of a three-part series about the design of Ixalan. This is part one of a three-part series about the design of Ixalan. In this podcast, I look at the history of the scry mechanic, from its premier in Fifth Dawn all the way to it becoming an evergreen keyword action. I am often asked what factors determine when we choose to keyword a mechanic. In this podcast, I talk all about this topic. In this podcast, I talk about how Wizards interacts with our freelance artists. In my "Making Magic" column, I occasionally write articles where I blend together Magic and non-Magic topics selected by the audience. In this podcast, I talk all about the articles I've written in this format. In this podcast, I talk all about the design of Hour of Devastation. In this podcast, I talk about how players can best give their input about Magic. For this podcast, I talk about how you can keep things feeling different in a game that's constantly making new content. I attended another SDCC and had another Blogatog Live Magic panel where I talked for the first time about Unstable. In this podcast, I talk all about what happened, including a few tidbits about Unstable from the panel that didn't make it out to social media. In this podcast, I talk about the history of the Pit—the area where R&D works. I'm often asked questions about how best to start a design. In this podcast, I go into detail about how to do just that. In this podcast, I talk about the history of poison counters in the game. In this podcast, I talk about the many different multicolor blocks we've made and how we went about making them. For the first time, I review a book. Okay, it's a book about the history of Magic. We have to make a lot of Magic sets, and while we always make new things, a lot of our job is taking the staple things we do all the time and finding small ways to make them feel different. In today's podcast, I talk about how we do that. In this podcast, I look back at some of the different formats from the early days of Magic including things likes Grand Melee and Emperor. In this podcast, I talk about one of the most important tools for a Magic designer. For the second year, I took my daughter to VidCon, the convention for YouTube stars. As an outsider looking in, I always get a lot of insights that I can apply to Magic. My daughter and I visited eight colleges in five days, which spawned this podcast. Back in June, we had a week with more announcements packed into it than we had ever done before in that condensed amount of time. This podcast walks through all the reveals of that week with some behind-the-scenes info about making it happen. This podcast is dedicated to Magic trivia, focusing mostly on trivia from the early days of the game. In this podcast, I talk about the biggest constant of Magic—change. This is my first mechanical color pie podcast where I go in depth on one mechanical aspect. For my maiden voyage, I chose to talk about how the five colors handle creatures. A few months ago, I wrote an article where I spelled out what colors did what in the color pie. In this podcast, I talk all about the making of this article and why the mechanical color pie is so important. In this podcast, I talk about the role complexity plays in game design. In this podcast, I talk about the mechanic flashback. I discuss how it got originally designed and the many different blocks that have used it. This is second part of my two-part series on the design of Amonkhet. I asked for feedback about my podcast, and one of the most common replies I got was that people would like me to occasionally mix in more recent design stories. So, this is part one of a two-part series on the design of Amonkhet. One of the questions I get most often is "How can I become a game designer?" I answer that question in this podcast. From time to time, I dedicate a show to talking about the many people who have worked on Magic. In this podcast, I'm talking again about R&D—this time covering the group I dub the "third wave." In this podcast, I talk about one of the design tools we use—counters. I go through the various kinds and talk about how counters help us expand what we can do in design. Wizards has made many games other than Magic. So many, in fact, that I needed two podcasts to talk about them all. Magic is just one of the games Wizards of the Coast has made. Today, I walk through the many, many others. This podcast is the fourteenth in my 20-podcast series based on a GDC speech I gave in 2016 about 20 of the lessons I've learned designing Magic for 20 years. The lesson of this podcast is "Don't be afraid to be blunt." I talk about the use of different frames and walk through the many times we've used frames to aid the game mechanically. On my blog, there was some discussion about the mechanical theme of "vanilla matters." (Vanilla creatures are creatures without rules text.) It was a complex topic, so I decided to spend a whole car ride explaining why the "vanilla matters" theme is so hard to do. One of my popular features in my "Tales from the Pit" comic is an ongoing "sit-com" with planeswalkers I make using the Funko Pop! figures. I call the recurring feature "Sparks." In this podcast, I talk about how it came about and what I did to find the humor in the planeswalkers. In this podcast, I talk about the difference of designing a set for a new world and designing for a return. This is a history podcast where I talk all about the history of Prereleases, from the first one for Ice Age to modern day. Wizards of the Coast makes games other than Magic. Today, I talk about one of our other big games. I discuss its history, how it influenced Magic, and how it came to be a Wizards of Coast game. I talk a lot about the design of Magic, but there are many other teams that design has to work with. This podcast talks about all these other teams. I talk through the lens of Amonkhet, so if you’re eager to hear a few Amonkhet stories, you might want to give this a listen. In this podcast, I talk about the nuts of bolts of rarity, including some history about how different rarities have worked over the years. This is part two of a two-part series where I examine the first Great Designer Search in detail. I walk through all the tests to get in and then all the challenges given to the contestants. This is part one of a two-part series where I examine the first Great Designer Search in detail. I walk through all the tests to get in and then all the challenges given to the contestants. R&D has a sign hanging on our walls explaining the principles of Magic R&D. In this podcast, I walk through all the items on the list and explain why they're important and how they impact the way R&D makes Magic. This is another in my "20 Lessons, 20 Podcasts" series where I go over the 20 lessons from my 2016 GDC Speech. Today's lesson is number thirteen: Make the fun part also the correct strategy to win. Telling a story can be difficult in any medium, but it's especially hard through the medium of a trading card game. In this podcast, I walk through the difficulties and how we overcome them. This is the third and final podcast in my three-part series on the design of Guildpact. This is second part of a three-part series on the design of Guildpact. This is first part of a three-part series on the design of Guildpact. This podcasts talks about all the different worlds we've visited over the years in various Magic expansions. This is another in my series "20 Years, 20 Podcasts" where I talk in detail about all the Magic stuff that happened in a particular year. There was a lot of discussion online about what exactly "top-down" and "bottom-up" designs were, so I dedicate a podcast to talk all about what the terms mean. I then walk through the history of Magic talking about whether or not the first set of each block was a top-down or bottom-up design. I often talk about the many fights in R&D that I managed to win. Well, I didn't win them all, and this podcast talks about a bunch of the fights I lost. This podcast is another in my "Lessons Learned" series where I talk about sets I led the design for and the lessons I learned from leading it. In this podcast, I discuss what I learned from leading the design for Battle for Zendikar. This is another podcast in my "20 Lessons, 20 Podcasts" series with design lessons from my GDC talk. Today's podcast talks about Lesson #12: Don't Design Something to Prove You Can. Wizards of the Coast doesn't give public tours, but occasionally we give them for special guests. As someone who has done a lot of these tours, I thought it would be fun to do one for all of you, virtually. This podcast is a look at the behind-the-scenes of the "Drive to Work" podcast. Very meta. In this podcast, I talk all about the importance of elements in your game having strengths and weaknesses. This is another Top 10 podcast. In this episode, I talk about the Top 10 coolest things about working in R&D. In my 21 years at Wizards, Magic has helped me travel all over the world. In this podcast, I talk about the sixteen different countries I've visited. This is another in my series on designing different rarities. In this podcast, I talk about designing rares and mythic rares. In this podcast, I explore the design of a trading card game, but one other than Magic. I talk about the creation of Duel Masters, a trading card game we created for the Japanese market. In this podcast, I talk about the first five Magic World Championships. I'm often asked about the best way to teach Magic to a new player. In today's podcast I explain how to do it. This is the fifth part of a five-part series on the cards of original Ravnica. This is the fourth part of a five-part series on the cards of original Ravnica. This is part eleven in my 20-part series "20 Lessons, 20 Podcasts" where I recap 20 lessons I learned in my first 20 years working on Magic. This is based on a speech I gave at the Games Developers Conference in 2016. You can find my three-part article about the speech here, here, and here. This is the third part of a five-part series on the cards of original Ravnica. This is the second part of a five-part series on the cards of original Ravnica. This is the first part of a five-part series on the cards of original Ravnica. This is another episode of "Replies with Rachel," where my eldest daughter and I answer your questions. I spend this podcast talking about an important lesson I've learned doing Magic design. I spend a lot of time answering questions. In this podcast, I talk about that aspect of my job and explain what I've learned over the years about how to best answer questions. Part of the iterative process is using feedback to improve upon your design. This podcast talks about how to best evaluate what you've done and use feedback to make your design better. In this podcast, I look back to the early days of Magic and talk about how the Standard format came to be. Mark talks about what an average day of his job is like. There are five conflicts between the five colors. In this podcast, I discuss them all. Mark talks about his choice for the Top 10 supplemental products Magic has made. Mark's tenth podcast in a series of 20 from GDC. Mark talks about the special series where we've gone to the public and sought their help in creating a Magic card. Mark pits the mechanics of the last two blocks set on Innistrad against one another. Mark goes over some slang used by R&D in part 3 of this 3 part series. Mark goes over some slang used by R&D in part 2 of this 3 part series. Mark goes over some slang used by R&D in part 1 of this 3 part series. Mark picks his Top 10 favorite evergreen creature keywords. Mark talks about the challenges of designing uncommon cards. Mark talks about an important aspect of card design. Part four (of four) of Mark's series on the design of Urza's Destiny. Part three (of four) of Mark's series on the design of Urza's Destiny. Part two (of four) of Mark's series on the design of Urza's Destiny. Part one (of four) of Mark's series on the design of Urza's Destiny. Mark talks about watching what happens as the public learns about new sets. Mark talks about the Council of Colors group that was created to help monitor the color wheel. Mark talks about how to create in a group setting. Mark's ninth podcast in a series of 20 from GDC. Mark pits the mechanics of the original Mirrodin block against the mechanics of the Scars of Mirrodin block. Mark explains the important process of figuring out what a card represents flavorfully. Mark shares some tips on how to be creative quickly. Mark's mailbag podcast with his daughter Rachel. Mark talks about his busy weekend at PAX West. Mark talks about his 20 favorite creature types. Mark talks about being a magician in his youth and what he learned that he brought to Magic. Mark's eighth podcast in a series of 20 from GDC. Mark talks about may of the rules that Magic has abandoned over the years. Mark talks about the issue of how perspective colors expectations. Mark takes a look at the history of Magic's oldest villains. Mark explains the six ages of design. Mark talks about how one can best learn from their mistakes. Mark talks about what he learned from designing Khans of Tarkir. Mark's seventh podcast in a series of 20 from GDC. Mark talks about the impact of flux on design. Mark's first podcast of a series where he pits two designs against one another. Mark's second of a two-part series on the design of Urza's Legacy. Mark's first of a two-part series on the design of Urza's Legacy. Mark talks about the history of Magic packaging. Mark talks about balancing work with the rest of your life. Mark's sixth podcast in a series of 20 from GDC. Mark talks about how they tweak old cards in design to make new cards that fill a similar function. Mark talks about his favorite non-design jobs he's held over the years. Mark talks about how he uses Twitter and shares some stories. Mark explores the history of hybrid mana and talks about how it came to be and how we design with it. Mark's fourth podcast in a series of 20 from GDC. Mark talks about VidCon, where he chaperoned his daughter Rachel, and the lessons he learned from it. Mark talks about his Top 10 favorite cards that he's designed. Mark talks about 2014 in his "20 Years in 20 Podcasts" series. Mark tests what Magic vocabulary makes sense to someone who doesn't know Magic well. Mark's mailbag podcast with his daughter, Rachel. Mark talks about various (mostly early) Magic trivia. Mark talks about how the two-block model came to be. Mark tatlks about the lessons he learned from his days of doing stand-up comedy. Mark looks back at the early days of Limited and how it evolved. Mark's third podcast in a series of 20 from GDC. Mark talks about the design of Urza's Saga in part four of a four-part series. Mark talks about the design of Urza's Saga in part three of a four-part series. Mark talks about the design of Urza's Saga in part two of a four-part series. Mark talks about the design of Urza's Saga in part one of a four-part series. Mark talks about the subtypes of Magic. Mark talks about the six supertypes of Magic. Mark talks about the Homelands Prerelease event of 1995. Mark talks about the changes in how gaming is publicly perceived. Mark talks about his Top 10 favorite non-evergreen mechanics. Mark talks about some of the interviews he has done and tips about doing good interviews. Mark's second podcast in a series of 20 from GDC. Mark talks about the use of market research to understand what players want. Mark walks through a Magic card and talks about each element on it. Mark looks at the mechanics from the Khans of Tarkir block. Mark explains what the Storm Scale is. Mark begins a new 20-part podcasts where he talks about life lessons he has learned. Mark introduces his daughter as he drives her to school. Mark reflects on his trip, including an hour-long lecture, at the 2016 Game Developers Conference. Mark talks about the issues related to creature design. Mark looks back to what got him involved with Wizards in the first place. Mark explains his dislike of leaks and explains why in detail. Mark shares stories about the changes that come late in the design and development process. Mark talks about some of the various Magic T-shirts that he has collected over the years. Mark begins a new series of Top 10 Lists by talking about his favorite sets that he designed. Mark talks about the different kinds of advertising Magic has done over the years. Mark talks about the high-profile tournaments he played in before Wizards. Mark talks about when he was just a player of Magic and had not started working at Wizards. Mark examines the lessons he learned from designing Theros. Mark talks about the design space reserved for cards within a particular mechanic. Mark talks about team dynamics and how to teams work together. 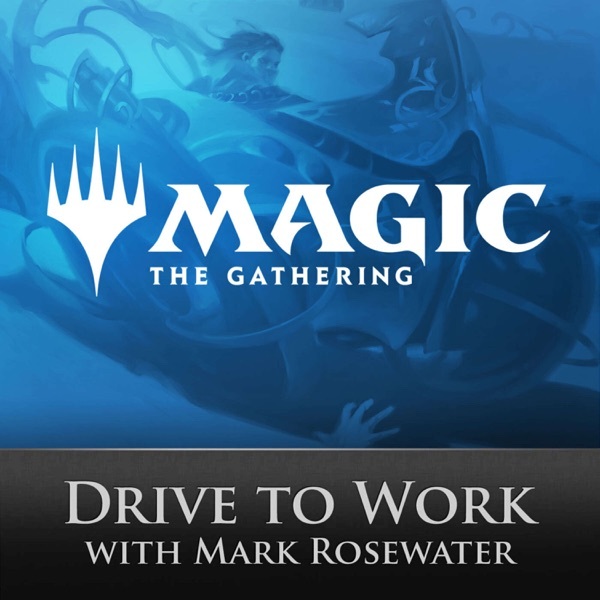 Mark talks about how people can get a job in Magic R&D at Wizards. Mark concludes his his six-part series on the design of Limited Edition (Alpha), Limited Edition (Beta), and Unlimited Edition. Mark continues with part 5 of his six-part series on the design of Limited Edition (Alpha), Limited Edition (Beta), and Unlimited Edition. Mark continues with part 4 of his six-part series on the design of Limited Edition (Alpha), Limited Edition (Beta), and Unlimited Edition. Mark talks about his experiences traveling for his job and shares a few tips as well. Mark continues with part 3 of his six-part series on the design of Limited Edition (Alpha), Limited Edition (Beta), and Unlimited Edition. Mark continues with part 2 of his six-part series on the design of Limited Edition (Alpha), Limited Edition (Beta), and Unlimited Edition. Mark begins a new six-part series on the design of Limited Edition (Alpha), Limited Edition (Beta), and Unlimited Edition. Mark remembers the life of Christopher Rush and shares stories about their interactions. Mark talks about how and when Research and Development decide to use reprints in a design. Mark concludes his two-part discussion with Melissa DeTora on their Magic firsts. Mark is joined by Melissa DeTora for a two-parter where they discuss their Magic firsts. Mark discusses his why and how he runs his Top 16 bracket activity on Twitter. Mark shares stories of his interactions with celebrities and as a Magic celebrity. Mark continues his 20 years in 20 podcasts with the year 2013. Mark talks about the decisions that game designers set up for players to make. Mark talks about working with Richard Garfield ont he Star Wars TCG. Mark talks about the design and creative work behind creature types. Mark defines what a dream job is and how you can get one. Mark talks about the three times he had to dress up as an animal for work. Mark concludes his six-part series on the design of Dragons of Tarkir. Mark continues with part 5 of his six-part series on the design of Dragons of Tarkir. Mark continues with part 4 of his six-part series on the design of Dragons of Tarkir. Mark talks about important life skills people learn from gaming. Mark continues with part 3 of his six-part series on the design of Dragons of Tarkir. Mark continues with part 2 of his six-part series on the design of Dragons of Tarkir. Mark begins a six-part series on the design of Dragons of Tarkir. Mark talks about the things that will teach a new player easier. Mark talks about the many things design has to care about while designing a set for limited. Mark looks back as the co-lead of Dark Ascension (with Mark Gottlieb) and shares what he learned from it. Mark continues with part 9 in his series on 10-things every game needs. Mark talks about the difference in Magic and Wizards from when he started to today, 20 years later. Mark talks about the questions he gets asked the most and the answers he chooses to give. Mark talks about how he connects through social media to Magic fans. Mark talks about the revisit to his original article about why so-called bad cards exist. Mark bases this podcast on his article about why so-called bad cards exist. Mark concludes his 5-part series on the design of Fate Reforged. Mark continues with part 4 of his five-part series on the design of Fate Reforged. Mark talks about the system which explains which colors each evergreen creature keyword falls into. Mark continues with part 3 of his five-part series on the design of Fate Reforged. Mark continues with part 2 of his five-part series on the design of Fate Reforged. Mark begins a five-part series on the design of Fate Reforged. Mark taks about an idea that Wizards tried to expand TCGs to a broader audience. Mark talks about being the rules manager for silver-bordered Magic. Mark continues with part 8 in his series on 10-things every game needs. Magic is a game that often breaks its own rules. Today's podcast talks about when, why, and how you should break the rules in game design. Wizards pulled out all the stops with Magic at the Penny Arcade Expo held in Seattle this past August. This podcast talks all about it, including the full tale of my crazy seventeen-hour day. Finally, I've gotten to my tenth and final (and possibly most requested) two-color podcast. I talk about the colors green and blue, what they have in common and why they're enemies. Scars of Mirrodin,-Return to Ravnica,-Battle for Zendikar. We've begun to revisit worlds we've already been to. What design issues are there when you start with a world you've visited before? Today's podcast talks all about this topic. Mark concludes his two-parter about the creative process. Mark begins with part one-of-two podcasts about the creative process. Mark continues his 20 years in 20 podcasts with the year 2012. Mark concludes his seven-part series on the design of Khans of Tarkir. Mark continues with part 6 of his seven-part series on the design of Khans of Tarkir. Mark continues with part 4 of his seven-part series on the design of Khans of Tarkir. Mark talks about the things that a game designer must be on the lookout for. Mark continues with part 3 of his seven-part series on the design of Khans of Tarkir. Mark continues with part 2 of his seven-part series on the design of Khans of Tarkir. Mark begins a seven-part series on the design of Khans of Tarkir. Mark talks about the color pair white-red. Mark concludes his two-parter about the inspiration behind each block in the history of Magic. Mark begins a two-parter about the inspiration behind each block in the history of Magic. Mark continues his 20 years in 20 podcasts with the year 2011. Mark continues with part 7 in his series on 10-things every game needs. Mark talks his level 4 judge time experience. Mark talks about the three trips Wizards sent him on before he started full-time. Mark talks about the color pair black-green. Mark concludes his 4-part series on the design of Avacyn Restored. Mark continues with part 3 of his 4-part series on the design of Avacyn Restored. Mark continues with part 2 of his 4-part series on the design of Avacyn Restored. Mark begins a 4-part series on the design of Avacyn Restored. Mark discusses the Pro Tour with his carpool guest, Melissa DeTora. Mark shares his carpool with special guest, Melissa DeTora and what it is like to start to Research and Development. Mark continues with part 6 in his series on 10-things every game needs. Mark continues his 20 years in 20 podcasts with the year 2010. Mark talks about what he learned from leading various Magic teams. Mark looks back as the lead of Dark Ascension and shares what he learned from it. Mark looks back as the lead of Innistrad and shares what he learned from it. Mark concludes his 4-part series on the design of Dark Ascension. Mark continues with Part 3 of his 4-part series on the design of Dark Ascension. Mark continues with Part 2 of his 4-part series on the design of Dark Ascension. Mark starts a new podcasts 4-part series on the design of Dark Ascension. Mark talks about the history of the Legendary supertype. Mark continues his 20 years in 20 podcasts with the year 2009. Mark continues with part 5 in his series on 10-things every game needs. Mark about the color pair White-Black. Mark talks about the origin story of Magic. Mark talks about 10 principles of good design. Mark talks about his trip to the 2015 Game Developers Conference. Mark concludes his 5-part series on the cards of Innistrad. Mark continues telling the stories behind the cards of Innistrad in part 4. Mark talks about the Green-White color pairing. Mark continues telling the stories behind the cards of Innistrad in part 3. Mark continues telling the stories behind the cards of Innistrad in part 2. Mark starts a 5-part series about the cards of Innistrad. Matt Cavotta joins Mark talking about their travels across the world. Mark continues his 20 years in 20 podcasts with the year 2008. Mark continues with part 4 in his series on 10 things every game needs. Mark talks about the technological tools that design uses to do its job. Mark explores the value of making mistakes. Mark looks back at a number of things Magic used to do that it stopped doing. Mark talks about how iteration changes design and the importance of it. Mark continues his series on the two-color pairs with a discussion on red and green. Mark gives a follow up to the basics of design introduced in Drive to Work 154. Mark finishes with part 3 of his 3-part series on the design of Arabian Nights. Mark continues his 3-part series on the design of Arabian Nights. Mark begins a 3-part series on the design of Arabian Nights. Mark continues his 20 years in 20 podcasts with the year 2007. Mark explores a little more in depth the changes he would make if he could start over. Mark Rosewater talks about interactions as he continues his 10-part podcasts series about 10 things every game needs. Mark shares his third podcast in his series on two color-pairs, talking about the interactions between black and red. Mark talks about the importance of feedback. Mark explores the design of the special holiday cards. Mark talks about the process of playtesting in design and walks through the various stages. Mark continues his 20 years in 20 podcasts with the year 2006. Mark concludes with the last of his 4-part series on the design of Scourge. Mark continues with part 3 of his 4-part series on the design of Scourge. Mark continues with part 2 on the design of Scourge. Mark starts his series on the design of Scourge. Matt Cavotta joins Mark to talk about what the creative team must do to create a new world every year. Mark talks about the process of how a card is made, from the blank page to holding it in your hand. Mark Rosewater talks about rules as he continues his 10-part podcasts series about 10 things every game needs. Mark talks about what Matt does at Wizards. Mark does another mailbag column with his special carpool guest, Matt Cavotta. Mark talks about the design of Portal. Mark talks about Blue and Black. Mark concludes his 4-part series on the design of Legions. Mark continues his 4-part series on the design of Legions with part 3. Mark continues his 4-part series on the design of Legions with part 2. Mark Rosewater begins a series on the design of Legions. Mark continues his 20 years in 20 podcasts with the year 2005. Mark Rosewater talks about the history of banding and explains its fate. Mark talks about Tribal cards. Mark Rosewater talks about goals in games in this first of 10 podcasts about 10 things every game needs. Mark shares stories from the early Pro Tours in Europe. Mark Rosewater talks about the exploratory design team and how it came to be. Mark talks about making design that the audience would expect. Mark Rosewater explains the design philosophies of the white/blue color combination. Mark Rosewater shares part 6 of his lessons about Magic design. Mark Rosewater shares part 5 of his lessons about Magic design. Mark continues his 20 years in 20 podcasts with the year 2003. Mark concludes his 6 part series on the design of Onslaught. Mark continues with part 5 of his 6 part series on the design of Onslaught. Mark continues with part 4 of his 6 part series on the design of Onslaught. Mark talks about the difference between design and development. Mark continues with part 3 of his 6 part series on the design of Onslaught. Mark continues with part 2 of his 6 part series on the design of Onslaught. Mark starts a multi-part series on the design of Onslaught. Mark talks about the challenges of designing a block centered around enchantments. Mark talks about how much design space a mechanic or theme has. Mark talks about what design changes went into the Scars of Mirrodin through Khans of Tarkir blocks. Mark talks about what design changes went into the Ravnica through Zendikar blocks. Mark talks about his history with SDCC and the Magic panel. Mark talks one of the first supplemental Magic products, Vanguard. Mark talks about keeping secrets secret. Mark talks about the most common mistakes designers make. Mark gives his second podcast about the people who have made Magic. Mark completes his series on the design of Unhinged. Mark continues with part 4 of his five-part series on the design of Unhinged. Mark continues his 20 years in 20 podcasts with the year 2002. Mark continues with part 3 of his five-part series on the design of Unhinged. Mark continues with part 2 of his five-part series on the design of Unhinged. Mark starts a five-part series on the design of Unhinged. Mark talks about how restraint is important to design. Mark explains redflagging and the common red flags. Mark finishes his podcast series on the Duelist Invitational. Mark answers the question: Where do you get your inspiration? Mark continues his "20 Years in 20 Podcast" series, exploring the year 2001. Mark concludes his five-part series on the design of Rise of the Eldrazi. Mark continues with part 4 of his five-part series on the design of Rise of the Eldrazi. Mark talks all about what goes into playtesting during design (and a little bit during development). Mark continues with part 3 of his five-part series on the design of Rise of the Eldrazi. Mark continues with part 2 of his five-part series on the design of Rise of the Eldrazi. Mark shares a ride Matt Cavotta and they talk all about the role of art in Magic. Mark today talks about the challenges of designing common cards. Mark talks about how we tell stories through design. Mark talks about the history of the story of Magic. Mark continues his "20 Years in 20 Podcast" series, exploring the year 2000. Mark completes his series about the design of Worldwake. Mark continues his series about the design of Worldwake. Mark starts with the first (of a three-part series) about the design of Worldwake. Mark concludes his podcast on Lenticular Design. Mark starts a two-part podcast about a new design concept. Mark talks the impact creature types have on design and vice versa. Mark talks about different people who were instrumental in the making of Magic. Mark talks about the role repetition takes in Magic design. Mark finishes his discussion of Zendikar in Part 4. Mark continues his discussion of Zendikar in Part 3. Mark discusses many of the stories of the designs of cards and cycles in Zendikar. Mark shares stories about his time producing the Pro Tour video coverage. Mark finishes his examination of 20 controversies of magic history. Mark examines 20 controversies of magic history. Mark talks what a typical day is like for a R&D member. Mark shares a look at 1998 with his 20 Years in 20 Podcasts series. Mark shares the third part in his series Mark on Judgment, the third set in the Odyssey Block. Mark continues his talk about Judgment, the third set in the Odyssey Block. Mark talks about Judgment, the third set in the Odyssey Block. Mark talks about The Duelist/Magic Invitationals 7, 8, and 9. Mark talks about an important design tool called the design skeleton. Mark takes a look back at R&D and talks about the many games we played. Mark talks about 1997 in another of his 20 Years in 20 Podcast series. Mark has a podcast with his mom. Mark talks about the card with his namesake. Mark talks about how the ever-changing nature of Magic impacts its design. Mark continues with the third part of the Torment discussion. Mark continues his series on the design of Torment. Mark starts with first in his series on the design of Torment. Mark focuses on the fourth year of Magic-1996. Mark talks all about his Tumblr blog. Mark talks about how the New World Order came to be and what it means to design. Mark talks about the importance of an emotional connection between the game and the players. Mark continues his series on the history of the Invitational, taking about the ones in Sydney and Capetown. Mark looks at how we design when we start from the flavor. Mark chats with Matt Cavotta about the role of card names. Mark starts a discussion on the five stages Magic design has gone through. Mark concludes his discussion on Theros. Mark continues discussing Theros in part 7. Mark talks about the third year in Magic History and the year he started working for Wizards. Mark continues discussing Theros in part 6. Mark turns in the fifth part of his Theros series. Mark returns to his Theros series with Part 4. Mark turns in one of the longest episodes yet, taking a step away from his Theros epic series. Mark finishes his series on color philosophy. He saves the most misunderstood color for last. Mark talks about the crazy tale of the making of the video for the very first Pro Tour. Mark talks about what he believes creativity is and how one can become more creative. Mark talks about the second year of life of Magic. Mark finishes his podcast on card types with Enchantments. In this podcast, I talk about the Duelist Magic Invitationals in Barcelona and Kuala Lumpur. Mark talks about the Invitationals in Hong Kong and Rio de Janeiro. Mark concludes his podcast about Odyssey. The third part of Mark talking about Odyssey. Mark continues discussing the first set design he led, Odyssey. Mark explores the design of the fourth set he led, Odyssey. Mark talks about a design tool that he had dedicated an entire article to. Mark talks about what the creative team does. Mark spotlights the development side of Magic. Mark discusses Red's role in Magic color theory. Mark discusses the Walking the Planes video series. Mark talks about the year 1993. Mark completes his podcast about Communication Theory. Mark talks about Communication Theory. Mark concludes his podcast about Champions of Kamigawa. Mark continues his podcast about Champions of Kamigawa. Mark talks about Champions of Kamigawa. Mark talks about his podcast.